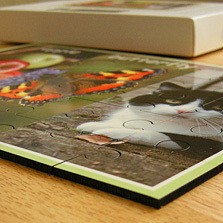 Traditional wooden design jigsaw puzzles with a durable bright gloss finish. 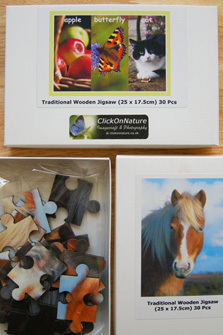 Each jigsaw features original ClickOnNature photography and comes cellophane wrapped in a presentation box. Warning - Not suitable for children less than 36 months old due to small pieces. Adult supervision is advised.